Our Lady of Mount Carmel is a place to learn and grow spiritually, intellectually, and socially with an appreciation of one’s own self-worth in a Catholic setting. Our school is a community of Christians who share the faith and confidence that the teachings and the life of Jesus Christ are the essential foundations for a truly happy and rewarding experience with others, by engaging in those activities which instill love for truth, thus inculcating a series of principles or values in their students and their families within an overall context of quality secular education. This education, in order to be complete is committed to the development of the whole child-emotionally, socially, physically, spiritually and intellectually. It envisions the growth of a child in such ways as will make him/her a productive, cooperative, contributing citizen in church, school and society. It seeks to have its students develop a healthy self-image and sense of self-worth that will progressively express itself in respect for the world as a whole, showing true active concern for others, be they neighbors or humankind as a whole. 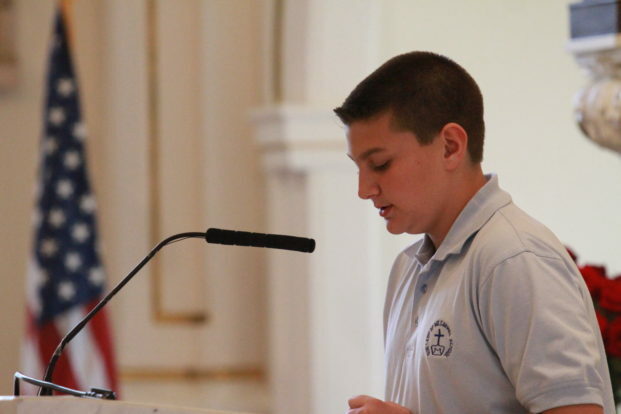 Inasmuch as it envisions itself specifically as a community of Christian faith, Our Lady of Mount Carmel School proposes to teach the message of Christ, and build into the lives of its students, with their families, a sense of the value of worship and personal prayer. In this way one comes to see in active service to one’s society, a natural responsibility, the added dimension of that service being a sign and expression of sincere Christian commitment to the Lord in faith. 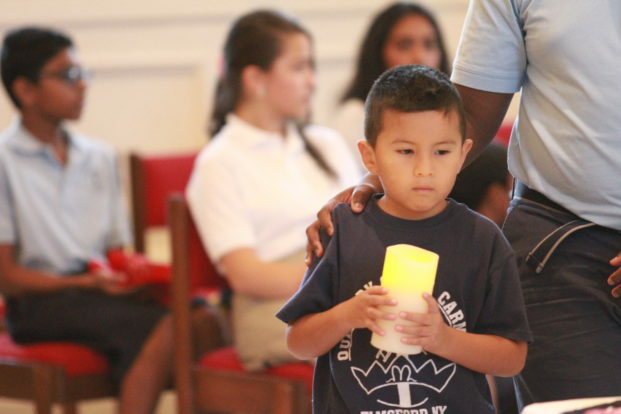 Our Lady of Mount Carmel School provides a Christian environment that will elicit Christian growth, thus creating a leaven for the community in all areas of Christian and Church concern.